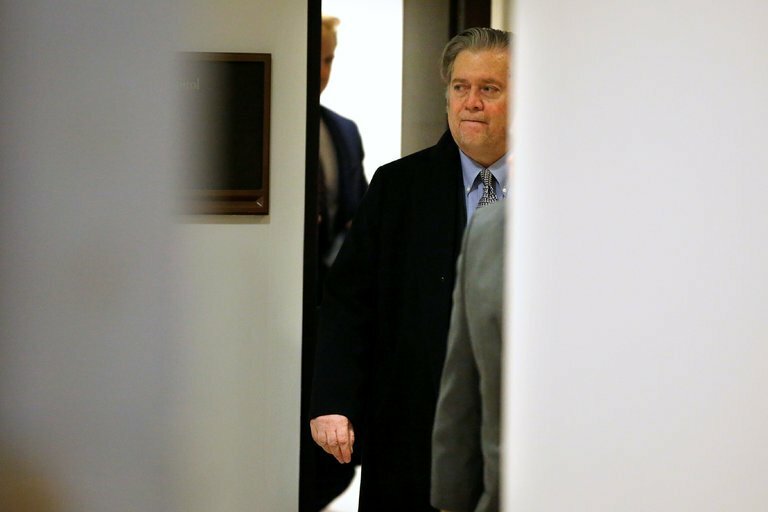 Steve Bannon, former White House chief strategist and Trump campaign manager, is summoned by Special Counsel Robert Mueller to testify before a grand jury in the Trump-Russia investigation. The revelation of the grand jury subpoena, the first known to be used by Mueller, comes less than two weeks after dramatic statements by Bannon in a book by Michael Wolff. They included claims linking Donald Trump and his inner circle — son Donald Jr., son-in-law Jared Kushner, and Bannon’s predecessor as campaign manager Paul Manafort — to collusion with Russian officials in 2016. Mueller could allow Bannon to avoid a grand jury appearance if the hard-right activist agrees to questioning by investigators. However, it is still unclear why Bannon has been treated differently from a dozen administration officials who were interviewed in late 2017 but never subpoenaed. Analysts said prosecutors generally prefer to interview witnesses before a grand jury when they believe they have information that the witnesses do not know, or when they think they might catch the witnesses in a lie. Bannon, who was dismissed from the White House in August, was questioned on Tuesday for 10 hours in a closed-door session of the House Intelligence Committee. He repeatedly invoked executive privilege as he refused to answer questions. The committee eventually subpoenaed Mr. Bannon to compel testimony. Adam Schiff, the leading Democrat on the committee, said Bannon’s attorney William Burck told the committee that Bannon is willing to speak with lawmakers and investigators; however, he could not answer questions because the White House told him not to respond. Schiff said that, when Bannon was issued with the committee subpoena, the White House again invoked a bar on any disclosures. More than half of the 2017 real estate sales from the Trump Organization went through anonymous shell companies. In the two years before Trump’s nomination, 4% of Trump buyers used shells. In the next year, the rate rose to about 70%. Profits from go through a trust run by Trump’s sons. Trump is the sole beneficiary of the trust and can withdraw cash at any time.